If you'd like to buy 18+ rated games on the Wii U's European eShop, you'll have to do it after the sun goes down. When the kids are tucked into bed, and no one can see you sin. We at Kotaku are all either stateside or across the Pacific, so we can't try this out for ourselves, but Eurogamer gave it a whirl and got a similar error message: "You cannot view this content. The times during which this content can be viewed have been restricted." 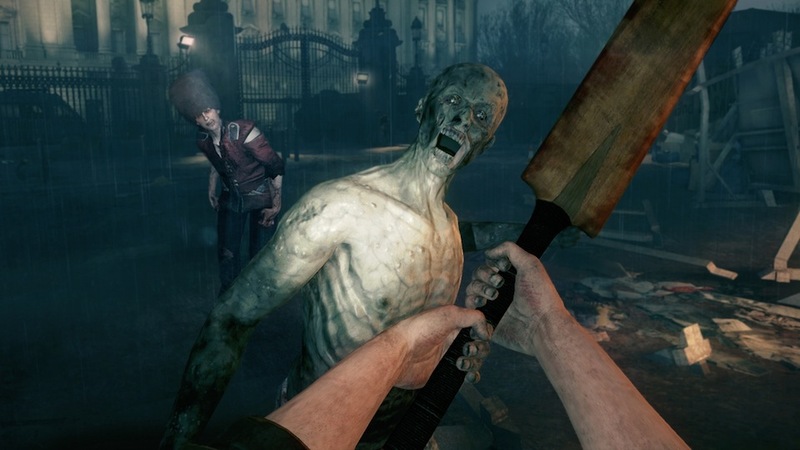 So, if you're in Europe, you can't buy mature-rated games (like the outstanding ZombiU) during the day. Even if you don't have kids and are a grown adult capable of making your own purchasing decisions. Very strange. I've sent off a note to Nintendo asking for clarification on the policy, and will update if I hear back. This is what I was talking about yesterday. Nintendo doesn't understand their audience in the slightest. it's not about the audience, it's about Nintendo not wanting to get sued by EU governments. Because the EU is suing Microsoft and Sony for doing this? Oh wait, no they're not. I'm gonna do my best to not make this sound like trolling, but isn't Nintendo's audience primarily children and/or families? Now hey, before I cop a mountain of crap for that, I love me some Mario, Zelda's fun, and I've always enjoyed Donkey Kong. But they're all kid-friendly fare. And the original Wii had what... 3 adult games going for it? Admittedly, Wii U seems to be doing a better job at giving adults more than 3 titles to choose from. I'm sorry, but that is completely, utterly and inexcusably fucked in the head. That's... an interesting take on it, actually. Kids shouldn't buy these games, so we'll only sell them when those kids shouldn't be able to buy them. It's not necessarily a good decision, and I'd not say it's the right decision, but you have to admit they're looking at the problem from a different direction. Obviously, while those of us who played Nintendo consoles as kids grew up, Nintendo didn't. I'm sure they thought this would show that they finally understand that the gamer demographic actually contains adults, but what it actually shows is that they still believe only kids play video games. Personally I find it a little insulting. I get non-gamers thinking video games are for kids, but not a company which actually makes video game consoles, etc. Not every adult who owns a Wii U has kids, and those who do aren't all idiots who don't understand or pay attention to parental controls and ratings. Surely it would have been a better option to have parental controls that restrict content based on age restrictions? Or aren't people allowed to think and act for themselves these days? Just block any underage account from seeing this stuff, and if they have an adults account it will be their problem. This makes absolutely no sense, you already control of your payments on the system by credit card and on top of that you have software parental locks. What good is timing content as if this was TV? Nintenyearolds quickly defend this move! Nintendo: because we don't understand the Internet, or parental controls. Zombie: I'M GOING TO GO GET A GLASS OF WATAAAAAAH. WELCUM TO LUNDUN BRUV. Well, that's putting me off buying a Wii U even more. I have to be up extremely early (5am) for work, so generally get to bed at 10pm. I can't buy these things then unless I remember to at a weekend, and normally then I'll doze off at about that time. Haven't Nintendo heard of parental controls? Yes, by all means, lock these down on a child's profile, but not an adult's. Nintendo should not be trying to control WHEN I can buy certain things, as that's a bit of my life they shouldn't have control over.